U.S. Sen. Ed Markey said Friday that Columbia Gas was "woefully unprepared" for last month's gas explosions in the Merrimack Valley, and he will work to make sure they are held responsible. "Columbia Gas is a very wealthy company," Markey said. "Our job is going to ensure that they pay for everything that happened and that there is no shortchanging of Merrimack Valley residents." The Sept. 13 disaster killed one person and injured 25 others. More than 130 buildings were damaged, including five homes that are considered a total loss. 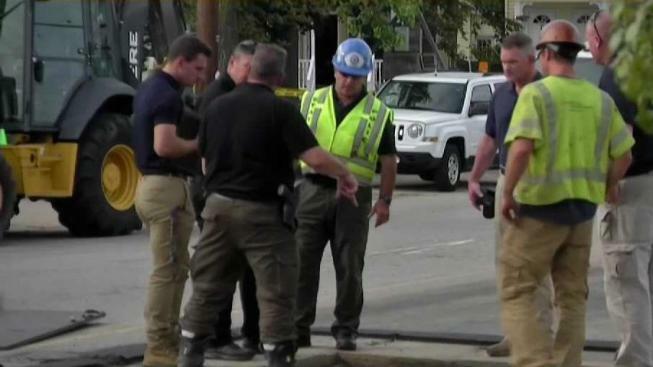 The National Transportation Safety Board released a preliminary report Thursday confirming that overpressurized natural gas lines caused the devastating blasts in Lawrence, Andover and North Andover. The report found that Columbia Gas workers didn't account for the location of important gas pressure sensors, which led the overpressurized gas to flood a low-pressure distribution system at extreme levels, according to the report. It also showed that the company's monitoring center in Ohio received two high-pressure alarms for the South Lawrence gas pressure system at 4:04 and 4:05 p.m., more than five minutes before the first 911 call from a resident and almost a full 30 minutes before Columbia workers in Massachusetts were able to shut down the regulator causing the problem. "It's pretty clear Columbia Gas was not prepared, that Columbia Gas was scrambling, was making it up as they were going along," Markey said Friday. He said the gas company didn't do enough to prevent it and didn't respond quickly enough to the disaster. "There are many unanswered questions," Markey said. He said a congressional hearing will be held sometime in November in the Merrimack Valley to attempt to get answers to some of those questions. He said details on the hearing will be announced at a later date. "There is so much that we still don't know," Markey said. "Why didn't the company tell its workers the location of the control lines? Why were there not fail safes? Why was the regulator station not shut down until 26 minutes after the first alarm? Were first responders first informed by a resident rather than by the company? Why did it take three hours to shut down the critical valves? The list goes on and on." He said the hearing will focus on what happened, why the response was so slow, and what can be done to change the laws to make sure nothing like this happens again.